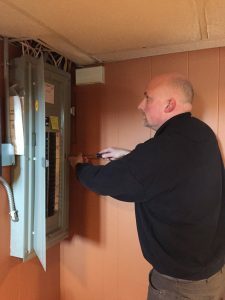 Greg Norton joined THIS team as a Licensed Home Inspector after working for a decade in the pest control industry and another decade in various customer service positions. Both experiences prepared him well for his career in home inspection, and he is committed to objectively delivering his knowledge and expertise to his clients so they can make the most informed purchase decision. Greg was born in Denville, NJ and grew up in West Milford, NJ where he currently lives with his family on beautiful Kitchell Lake. He is an active member of the board of directors for the Kitchell Lake Homeowners Association, and he can often be found in his boat, fishing with his wife, son and daughter. Greg’s calm demeanor and scrupulous attention to detail make him an ideal member of THIS team.